This chapter presents a methodological approach for critically examining a data model. 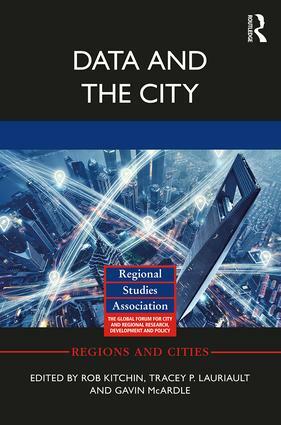 The central question examined is, how is a city translated into code and data, and how does that code and data transduce and reshape the city (see Figure 13.1; Kitchin 2011)? More specifically, what are the technopolitical processes by which a city is modelled or translated into a database? What does that database model look like? In what ways does that model transduce space and reshape the city? Is the relationship between model and city recursive and can a city database eventually learn about itself from itself and simulate the city? What would be included and what would be left out of the database in order to avoid the similitude problem of Lewis Carroll’s map of the city at the scale of a ‘mile of a mile’ (Carroll 1893), or where cartography is so perfect that a map includes each house, mountain or tree represented by just that, the houses, mountains and trees as Borges satirically wrote in ‘On exactitude in science’ (1946)? Finally, who decides?